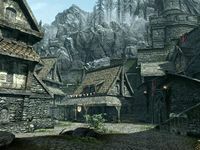 Solitude is a major city located in Haafingar on the northwestern shore of Skyrim. 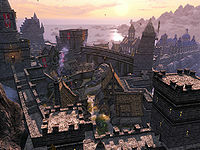 In addition to being the largest city in all of Skyrim, it is also the capital of the province and seat of the High King of Skyrim. 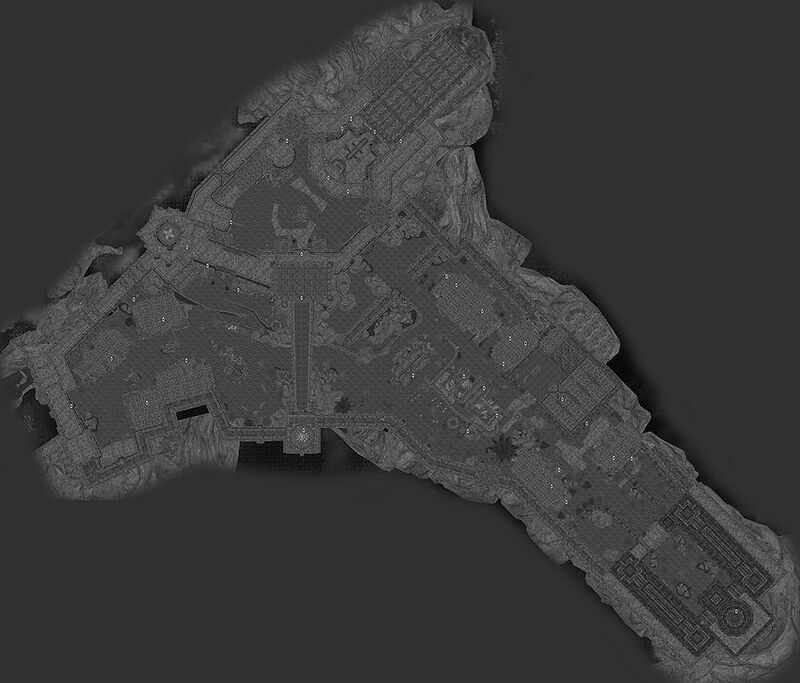 The entire city is built on a natural arch over the Sea of Ghosts and houses many important buildings, such as the headquarters of the Imperial Legion in Skyrim, the East Empire Company Warehouse, the Blue Palace, and the Bards College. As Skyrim's capital, Solitude was the seat of the High King before his death. The Thalmor Embassy is also located near Solitude. 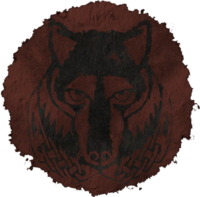 The Jarl of Solitude is Elisif the Fair, widow to the late High King Torygg. She resides in the Blue Palace, located at the far end of the city. When the city is entered for the first time, Roggvir is executed for treason. For more information on Solitude, see the lore article. ^a This person only sells goods at the market. ^b This ferryman can be hired to transport you between cities via boat. ^c This person is executed upon first entering Solitude. Proudspire Manor is a house available for purchase upon completion of some miscellaneous quests for the Jarl. It may be purchased from the steward for 25,000 gold. Esta página foi modificada pela última vez à(s) 08h21min de 25 de janeiro de 2016.